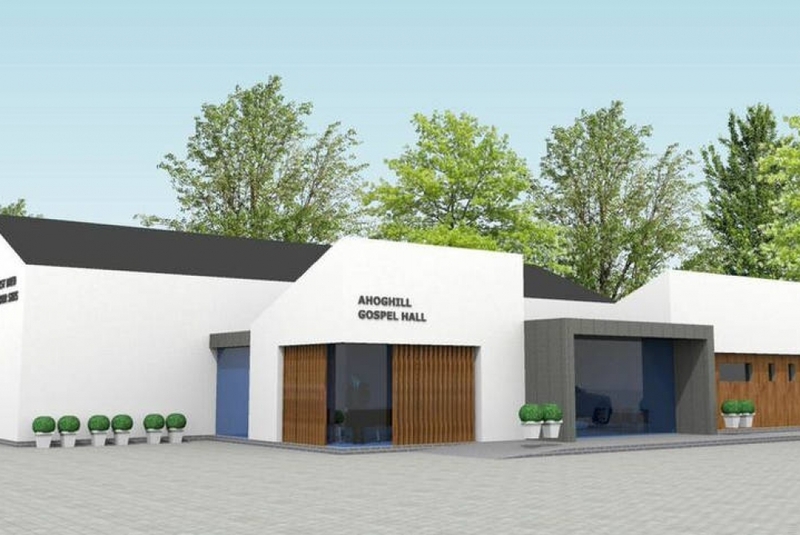 The Ahoghill Gospel Hall was established in 1896. 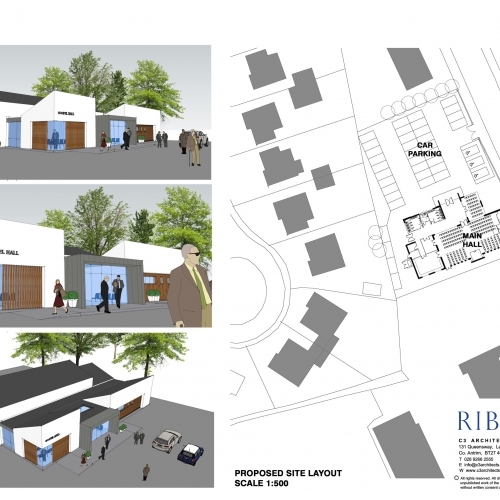 The Committee requested an Option Appraisal considering minimal essential repairs and compliance with current legislation as Option 1, an extension as Option 2 and a new build replacement as Option 3. 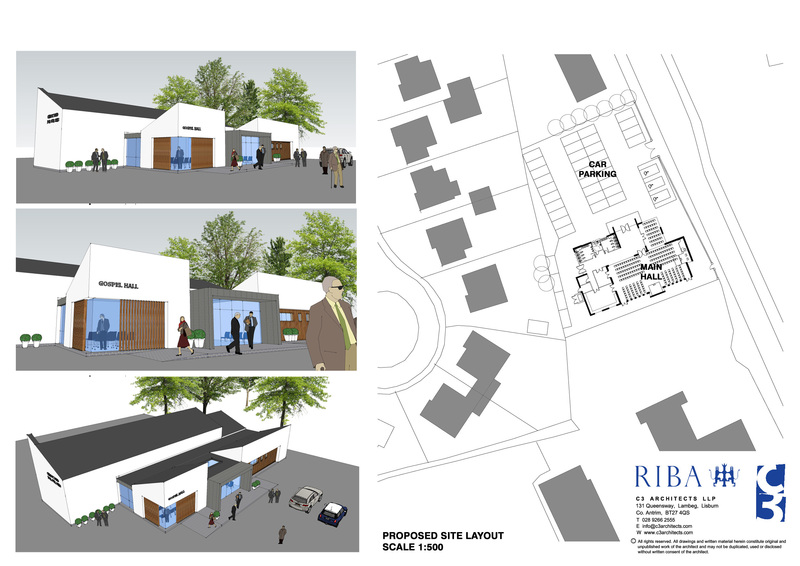 C3 Architects provided fully costed proposals for these 3 options. 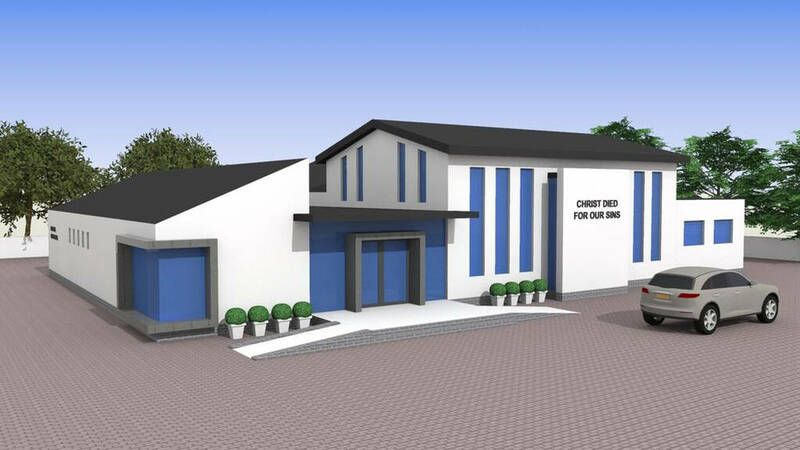 The Extension option provided for additional seating accommodating up to 300 for conference meetings with enhanced kitchen, Prayer Room, toilets and storage. 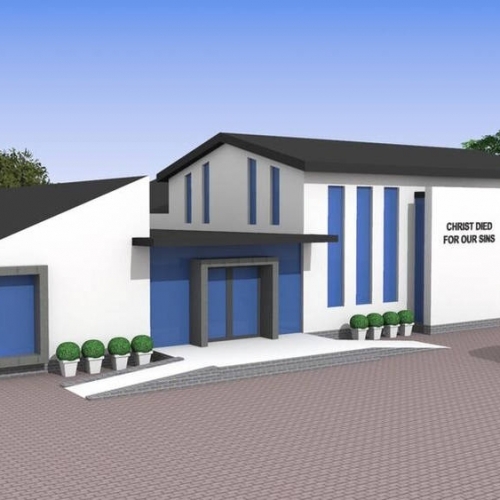 The New Build option also accommodates up to 300 seats and similar ancillary accommodation to the extension option. The Committee are currently considering the implications of the various options.